There was a time when I hoped there were more options when it came to browsers. First, I wanted an alternative to Internet Explorer on the desktop and then an alternative to Opera Browser on mobile. We did get both of those in plenty. Today there are so many web browsers to keep count of both on the desktop and the mobile space. Each one of them is trying to stand out of the pack. Many of them choose to go the privacy route in order to be different from Google Chrome. Monument browser is another such privacy focused browser but with a load of features. Google Chrome has captured a lot of market share for various reasons but that has also come at a cost. It’s no longer the minimal browser but is a RAM hog not only on the desktop but also on Android. Chrome on Android has never been a smooth browser. Samsung’s Internet browser is probably the one app that Samsung does right compared to Google. Naturally, there are so many alternatives that focus on aspects that Chrome is weak at. We’ve talked about Mozilla’s light-weight Firefox Lite browser and it’s privacy-focused Firefox Focus web browser. Monument browser is both and yet it also has some nice additional features such as Picture-in-Picture. The browser’s app size is a total of mere 1.6 MB as of the time of this writing. After installation, it uses ~6MB of storage before it has been used. As you use it, the storage space will increase but this is still impressive. Especially when compared to Google Chrome’s 143 MB. 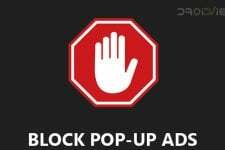 It also features an adblocker which can be really useful if you visit websites that place annoying pop-up ads. An anonymous mode when turned on, deletes all the data from your browsing session when you exit the app. An incognito mode, known as a private session is of course also available. Are you acquainted with Android System Webview and how it works on your device and affects your experience? Chrome lacks actually useful features such as Night mode but some other alternative browsers do offer that. Monument Browser also has a night mode but it’s done much better than some other browser apps. For instance, the night mode on Samsung Internet is a darker shade of gray whereas it’s completely black in Monument. Users with an AMOLED display will truly appreciate the true black background. Moreover, many browsers only apply the night mode to their own interface, not to the web pages. This kind of defeats the purpose of a night mode. Even Samsung Internet, which does turn web pages dark in night mode has some interface elements that do not turn dark. Monument Browser’s night mode is perfectly done with all interface elements themed as well as entire web pages. There are some more awesome web browsers for Android that support a night theme or dark mode. 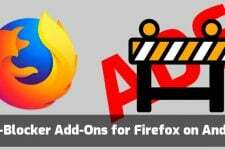 Don’t forget to check out these 5 Android web browsers with night theme. Apart from that, Monument Browser also has a reading mode which removes all images, ads, videos, or any distractions. You can not only open links in a new tab directly but also open the new tab in the background. It also lets you preview links by opening them in a pop-up window so that you don’t have to leave the current page you’re viewing. We haven’t even touched the surface of all the features that are packed into this tiny browser. From letting users take a screenshot of the entire page, to blocking fly out menus to scanning the page for images, gifs, or video, Monument Browser can do so much. 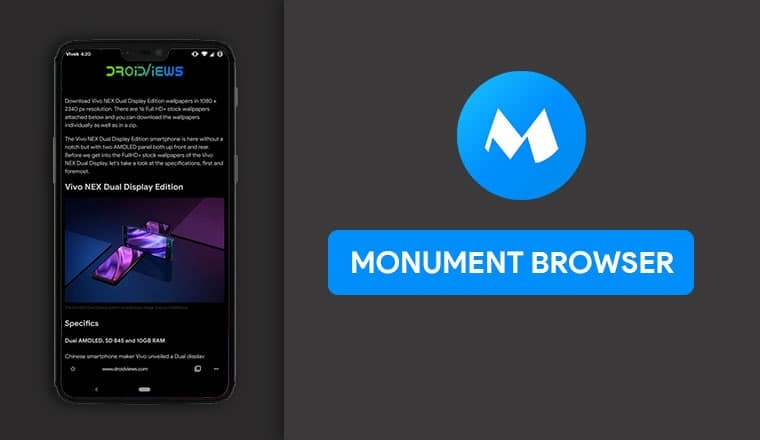 Monument Browser is available for free from the Google Play Store but there is also a premium version that you’ll have to pay for. 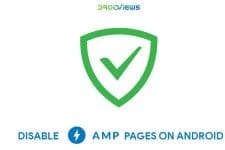 The one-time payment enables high-speed downloads and enhances the adblocking feature of the browser. To pack so many features in such a small package the developers definitely do deserve to be paid. Care about more tips to make your Android experience better? Here are 20 Google Maps tips and tricks to make you a Google Maps expert!